Why would you even need a live chat on your website? You might wonder if chat will attract visitors who will use a lot of your time and ask redundant questions. And once in a while, you will get these kinds of visitors but the benefits of having live chat will outweigh them easily. For example, Syed Balkhi, founder of WPBeginner, WPForms, and Optinmonster recently stated that since they added chat to their pricing page their pre-sales team converted one in three visitors into customers and on a good day even one in two. Now think what that could mean for your business. This can potentially be a huge conversion grower. Let’s be clear here: If your website doesn’t come with a live chat, you are leaving money on the table. Airlines, accommodation booking companies and also software companies are using a live chat on their check out pages. They are using it because they know exactly, that when a customer goes that far through the website and is on the checkout page, he is literally “hot”. He wants to buy right now. And in case he has any questions or concerns at this crucial step of the journey to becoming a buyer, they make sure that he will get all the information he needs and finally makes that purchase. One of the main concerns in the shopping process is, “Will I be taken care of when I am buying here?” and indeed, the Live Chat serves as a reassurance to your customer. Customers are getting comfortable seeing this live chat on a website and the fact that they know they will get their questions answered instantly will enable them to purchase more! How to run a live chat? When offering live chat, make sure someone of your staff members will be taking care of incoming chat requests during business hours. If the chat shows no sign of activity during your business hours, your website might seem abandoned or not well maintained. One solution to avoiding that could be to set up a schedule for your staff, which makes sure that the chat is always covered. Another more affordable option could be to find trained support staff from overseas. Many cost-effective websites will offer you high-quality support agents, who will take care of answering your customers in chat after you have provided them with all the necessary information. Most chats also offer an App, so you or your staff can conveniently reply from your phone, and you will never miss a chat. Does a live chat cost a lot? No, it doesn’t have to cost a lot. There are many great chat plugins, which offer a free basic plan, that will give you already a lot of functions. Examples are Tawk.to, Zotabox, which is the free chat plugin from Facebook, or Zopim, which is the live chat from the well-known Support portal Zendesk. But if you want to have what the superstars have, then go with Olark. Ezrah Firestone, the successful E-commerce entrepreneur, and marketer is using it on one of his countless E-commerce websites. It offers a basic plan for $17 per month. Your chat support team has to know your products and features extremely well. Because they will receive in-depth questions about your products. This also applies to lead generation websites, not only to E-commerce websites. Tip No. 2: Answer quick! On average visitors are waiting 2 minutes and 40 seconds. Definitely, try to undercut that. Tip No. 3: Make sure to follow-up! These visitors who engaged in a chat with you, they are “hot”. As said before that means they want to get something from your website. They are excited about your brand, about your products. Don’t let them become “cold” and disengaged. Take the right marketing decisions.Follow up after a chat. Send them the information they were asking for or simply ask them if they need further assistance. If they did buy then nurture them with a matching email sequence. Try to upsell your next biggest item, which they naturally could be interested in. Amazon is very effective in upselling items to their customers, either while they are still on their website or via their email inbox. If you have a product like face creams, as in the example of “Boom by Cindy Joseph”, make sure your customers come back again, and again, and again. Make them become your fans and their friends and family will soon too. Tip No. 4: Never let your chat show as offline. If you’re offline during weekends and after business hours, your chat should never display the message “Chat Offline”, rather “Have a question?”. This is a small tweak, which engages people more often to click on the button and eventually leave a message, than an offline message. Not every page is the right spot for installing a live chat, because some of your pages might have optimized content for visitors who come through search traffic directly. You don’t want that sales copy to go unnoticed. Will I lose a lot of time with it? That is not the right question to ask. The question is rather if it will increase your ROI. And if you follow our outlined tips you will likely see an increase in sales and customer satisfaction. Especially if you make the right use of it by adding it to your check out or your pricing page. Another benefit will be that you will learn a lot about your customers, their needs and also about your product itself, which then again can help you improve the quality. As you can see chat is the way to go. Your online visitors are more and more trained to see a live chat available for their instant questions. 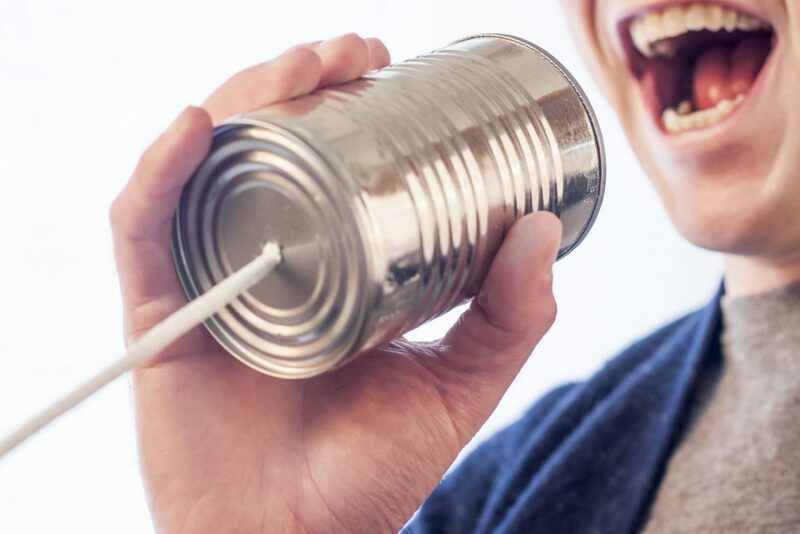 If only a few or even none of your competitors have live chat on their website, take the chance to get an edge over them and let your visitors know, that you value them and their questions. We can help you integrate a chat into your WordPress website in no time. Get in touch, if you want to know more.